Last we heard about the long-awaited Avatar 2 is that director James Cameron is looking to start production this summer on the long-awaited sequel, with Avatar 3, Avatar 4 and Avatar 5 also confirmed to be shot at the same time. While the August 15 production start date has not been confirmed by the studio, even if the director does make that date, he recently revealed that the Christmas 2018 date will not be made. As of now, there is no official release schedule in place, but if production does in fact start soon, we may finally get some official updates. Back in December, Sigourney Weaver hinted in an interview that the sequel may be delayed beyond 2018, but we never heard anything official from the studio or James Cameron. The Star caught up with James Cameron, who was promoting his new documentary Atlantis Rising, which debuts on Discovery Sunday, March 12, where he confirmed that the 2018 date is not happening. Here's what he had to say below. "Well, 2018 is not happening. We haven't announced a firm release date. What people have to understand is that this is a cadence of releases. So we're not making Avatar 2. We're making Avatar 2, 3, 4 and 5. It's an epic undertaking. It's not unlike building the Three Gorges dam. (Laughs) So I know where I'm going to be for the next eight years of my life. It's not an unreasonable time frame if you think about it. It took us four-and-a-half years to make one movie and now we're making four." James Cameron revealed in January that all of the Avatar sequel scripts are finished, with the directing revealing that motion capture work will begin in August. 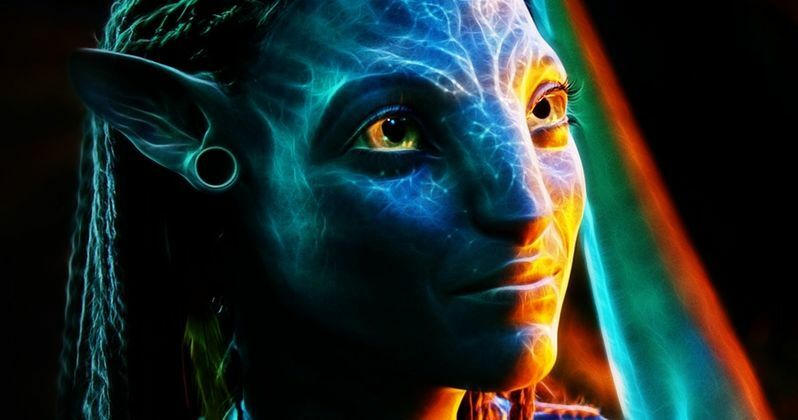 The director brought on a number of writers to help him co-write these Avatar sequel scripts, such as Josh Friedman, Shane Salerno and the writing team of Rick Jaffa and Amanda Silver. No story details have been given at this time, but original Avatar stars Sam Worthington, Zoe Saldana, Sigourney Weaver and Stephen Lang are all expected to return. If filming does in fact start this summer, then perhaps we'll start hearing about new cast members coming aboard soon. James Cameron also mentioned in October that he wants to employ glasses-free 3D technology for his Avatar sequels, although it remains to be seen if the technology will be in place by the time his sequels are ready to hit theaters. While there is no concrete release date in place for Avatar 2 yet, it's possible that it could arrive in theaters in December 2019. If that is the case, then it's also possible that this sequel could end up clashing with another highly-anticipated sequel, Star Wars: Episode IX, which is expected to hit theaters in 2019, although an official release date has not been issued. Hopefully we'll learn more about Avatar 2 as we get closer to the production start date.